Temporomandibular joint disorder (TMD or TMJ) is a chronic condition that involves the jaw joints and causes painful symptoms in the head, neck and shoulders. It can be caused by many factors, and it is often overlooked as the cause of headaches, migraines and even vision or hearing problems. Physiologic dentistry is the branch of dentistry that is involved in diagnosing and treating TMD. 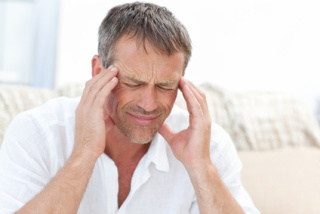 If you have been searching for a solution to headache pain or other symptoms in your head and neck, you might be able to find TMD treatment in Illinois from a physiologic dentist. TMJ causes range from a natural wearing down of the tissue that keeps the temporomandibular joints from operating smoothly to crooked teeth causing more pressure on your jaws than they are designed to handle. Injury to the jaws or mouth can also cause symptoms of TMJ/TMD. While not all headaches are caused by TMJ, very often the jaws or the teeth are involved when head pain is chronic. The nerves that supply sensation to the head, face and neck are part of a complex system that can cause pain triggers in areas that are not directly affected by the problem, for example, jaw pain can be misinterpreted as a headache, and even vision or hearing issues like floaters or ringing in the ears can be caused by mixed up signals from somewhere else nearby. The symptoms often interfere with sleep and can result in fatigue, irritability, work problems and relationship problems. The most common form of treatment for TMJ/TMD is a dental appliance, which is a mouthpiece that is custom fitted by a dentist. This method of treatment is called orthotics. The mouthpiece gently positions the teeth and jaws for optimum stress relief, which can alleviate the pain and other symptoms of TMJ. When crooked teeth or missing teeth are the cause of jaw stress, restoring the teeth or having them straightened may result in permanent relief from the symptoms of TMJ. Various treatment methods could be combined if necessary for a full mouth reconstruction to restore and position your teeth for optimum functioning. If you are interested in TMD treatment in Illinois, schedule a consultation appointment with your Illinois dentist. Improving your teeth and your smile could be the answer to relieving your pain.